The Indian rupee will have its own symbol, a mix of the Devanagri ‘Ra’ and Roman ‘R’, to become the fifth currency in the world to have a distinct identity. The new symbol, designed by IIT post-graduate D Uday Kumar was approved by the Union Cabinet today. 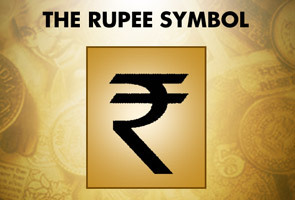 The rupee will join the elite club of US dollar, British pound-sterling, Euro and Japanese yen to have its own symbol. The symbol will be printed or embossed on currency notes or coins, Information and Broadcasting Minister Ambika Soni told reporters after the Cabinet meeting. Kumar’s entry was chosen from among 3,000 designs competing for the currency symbol. He will get an award of Rs 2.5 lakhs. Soni said the government will try that the symbol is adopted within six months in the country and globally within 18 to 24 months.